LEWISVILLE, Texas (July 22, 2014) – Converting a casino into a public safety administration building requires some imagination. 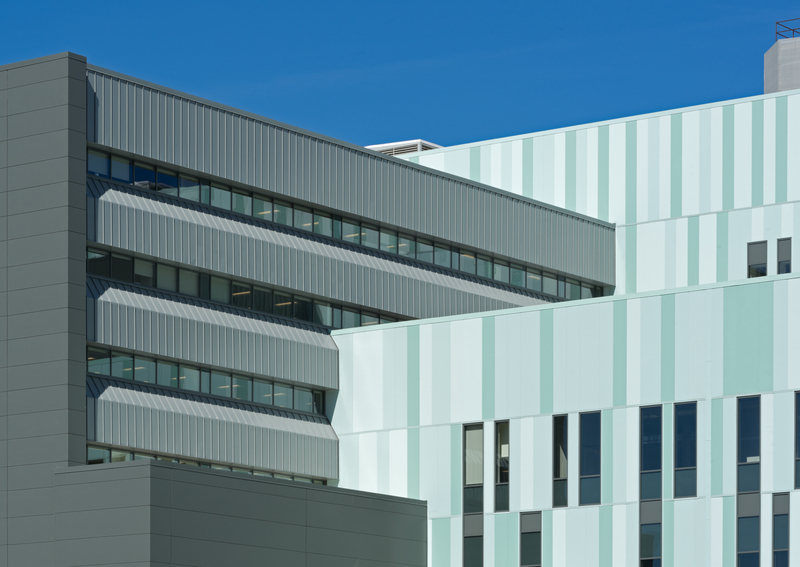 More than 90,000 square feet of insulated metal panels from Metl-Span® assisted with the transition and helped the Detroit Public Safety Headquarters become the city’s first facility to achieve LEED®-certified status. The building, originally an office for the Internal Revenue Service, was left abandoned twice – once by the IRS and a second time by MGM Casino, which purchased the facility to be used as a temporary casino until its new building was completed. 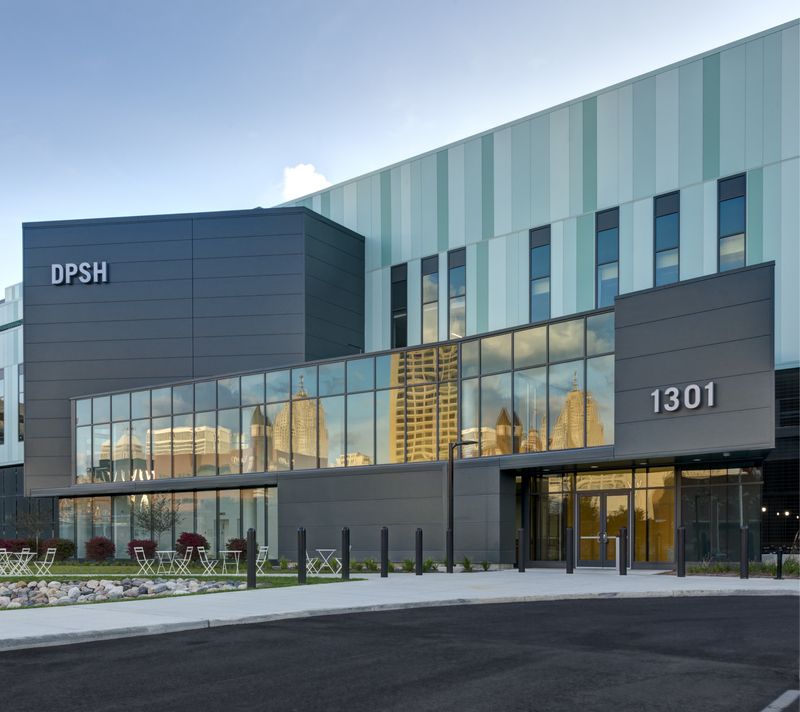 The City of Detroit purchased the building and began refurbishing in the spring of 2012. 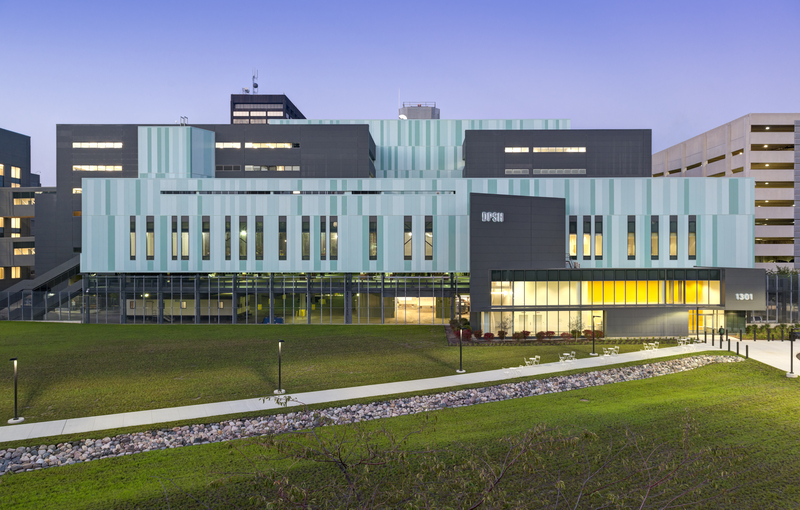 It now houses offices for the city’s police and fire administrative personnel, the Michigan State Police Metropolitan Forensic Laboratory, the city’s Building Authority office, Homeland Security office and Information Technology Services Group. CEI Group LLC of Howell, Mich., was charged with the task of installing the Metl-Span insulated metal wall panels: almost 51,000 square feet of horizontal 2-inch CFA panels in widths of 40, 36 and 32 inches and just more than 40,000 square feet of vertical 2-inch CFA panels in widths of 36 and 24 inches. The horizontal panels were all custom Submarine Gray, while the vertical panels were manufactured in three colors: custom Key Largo, Tarryton and Sweet Nothings. CEI Group has worked extensively with Metl-Span products, but Reid said this was by far the largest project his crew has worked on. Crew members were installing panels from a hoist lowered from the roof, while a separate hoist was bringing panels to the crews. 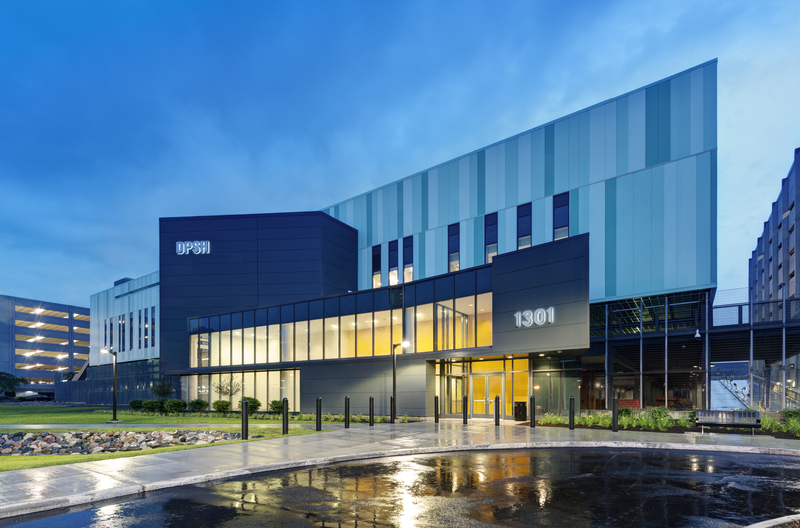 Metl-Span pioneered many of the developments of insulated metal panels and continues to make significant contributions to design innovations and technology that shape industry standards. For more information on Metl-Span products, call 877-585-9969 or visit www.metlspan.com.